There is no official measure of poverty in Canada. Statistics Canada reports that 14.9 per cent of Canadians have “low income” (i.e. make less than half the median income) but declines to label that group “poor.” Low income is only one way of measuring poverty, though; another is the “basic needs poverty measure,” which looks at the absolute minimum resources needed to fulfill physical well-being. The “market basket measure,” created by the Department of Human Resources and Skills Development Canada, takes a similar approach with a broader range of goods and services, estimating the disposable income needed to meet basic needs. In 2008, the Organization for Economic Co-operation and Development (OECD) noted that poverty had been steadily rising in Canada since the mid-1990s. Regardless of how you try to measure poverty, certain groups are worse off than others. A study by the left-leaning Canadian Centre for Policy Alternatives found that Aboriginal Canadians make about 30 per cent less than the rest of Canadians. Other groups more likely to be affected by poverty include lone parents, recent immigrants, people with disabilites and seniors, according to Statistics Canada. Canada ranks behind the average in a recent UNICEF survey of child poverty in rich nations. According to the report, 13.3 per cent of Canadian children live in poverty, compared to 11 per cent across the 35 “economically advanced countries” studied. According to one study, half of First Nations children in Canada live in poverty. Poverty can exert extra health care, crime and social assistance costs. 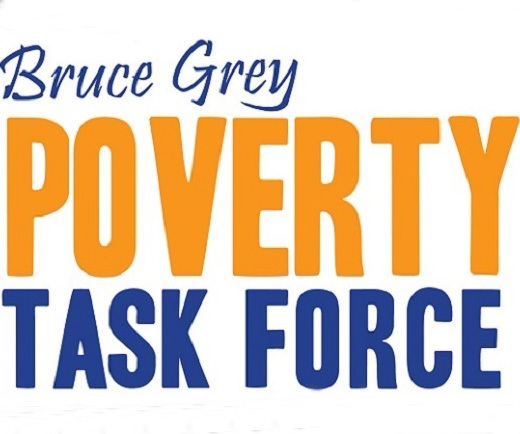 According to an estimate from the Ontario Association of Food Banks, poverty costs that province betwen 5.5 and 6.6 per cent of its Gross Domestic Product. That same report pegs the national health care costs attributable to poverty at $7.6 billion. In 1986, the federal and provincial governments established a threshold of housing affordability set at 30 per cent of a resident’s monthly income. By that standard, a full quarter — or 3.3 million households — in Canada are paying more than they should on housing, according to data from the National Household Survey released this year. An analysis by The Hamilton Spectator showed that there was a 21-year gap in life expectancy between that city’s richest and poorest neighbourhoods. According to Food Banks Canada, nearly 900,000 Canadians are assisted by food banks each month. Thirty-eight per cent of those helped by food banks are children and youth and 11 per cent are Aboriginal (compared to 4.3 per cent of the total population). As many as 200,000 Canadians will experience homelessness each year, according to a recent report from the Canadian Homelessness Research Network. On any given night, about 30,000 Canadians are homeless. Last month, Statistics Canada reported that the Canadian household debt-to-income ratio had climbed to a new high of 163.4 per cent — in other words, the average Canadian owes $1.63 for every dollar they earn. A 2008 report from the Public Health Agency of Canada argues that reducing child poverty can have huge spillover effects on society. “It is estimated that $1 invested in the early years saves between $3 and $9 in future spending on the health and criminal justice systems, as well as on social assistance,” the report says.